This morning it was very cloudy and I didn't think there would be anything to photograph, but then in the blink of an eye the scene before me began to change. 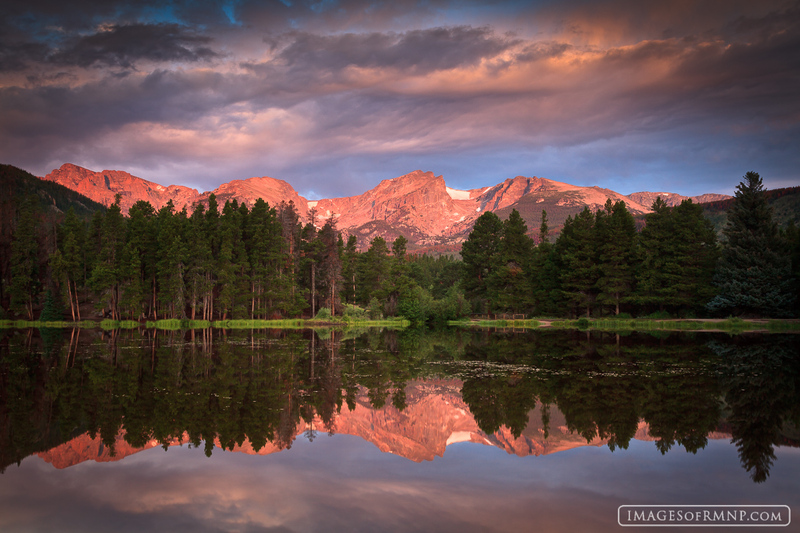 Hallett Peak and the entire Continental Divide took on a warm hue while the clouds above glowed with dramatic light. The unusually calm water of Sprague Lake completed the scene by providing a nearly perfect reflection. Photo © copyright by Erik Stensland.